Pierre, South Dakota is a picturesque city with tree lined streets, parks, and a historic downtown. It was founded in 1880 when gold prospectors settled down in the Dakota Territory during the Great Dakota Boom. South Dakota became a state in 1889, and Pierre was declared its capital as it was in the center of the state. Here are the best things to do in Pierre, SD. The South Dakota State Capitol was constructed between 1905 and 1910 with native stone, Indiana limestone, Vermont, and Italian marble. Admire the terrazzo tile flooring laid by 66 Italian artists. A marble staircase leads to the display of miniature gowns worn by each First Lady at the inaugural balls. The 96-foot high open rotunda on the second level has decorations of the sixteen images of the Tree of Life, acanthus leaves, and the South Dakota state flower, the pasque flower. The House of Representatives and the Senate are located on the third floor. Visitors simply have to explore the four memorials on the grounds of the Capitol building. 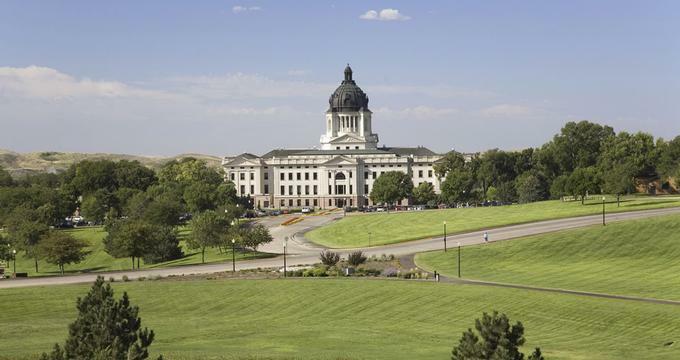 The South Dakota State Capitol is one of the top Pierre attractions. The picturesque island of La Framboise Island Nature Area is located along the Missouri River and is one of the best things to do in Pierre, South Dakota. This scenic island is resplendent with its lush greenery, and it is home to numerous species of wildlife and birds. Explore the Fort that Joseph La Frambroise constructed towards the western part of the island. 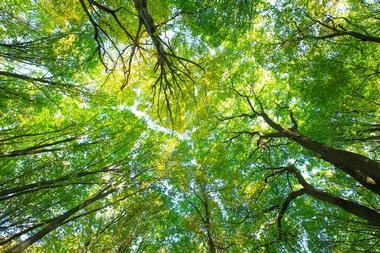 Visitors will enjoy nature trails under the shade of trees like Russian olive, cedar, ash, and native cottonwood trees. The fishing dock attracts fishermen, while families can enjoy a day out in the open at the designated picnic area close to the boat ramp. The South Dakota Cultural Heritage Center was inaugurated in 1989 to interpret and preserve the heritage and unique culture of the people of South Dakota. This center houses the State Archives, a museum, historic preservation efforts, and research and publishing offices. On display at the museum are three permanent galleries that highlight the cultural history of South Dakota from the Native Tribes to the present day. The State Archives has records and documents that showcase the heritage of this region. Visitors will notice that government officials, teachers, students, and historic preservationists regularly mention and reference these records. Oahe Dam is located to the north of Pierre along the Missouri River, and it is responsible for the creation of Lake Oahe. This project offers irrigation, flood control, and electricity. Oahe Dam was dedicated in 1962 by President John F. Kennedy when it began producing electricity. Today, it provides electricity for most of the northern central states of the nation, and with a height of 245 feet and a lake depth of 205 feet, this impressive dam has a plant discharge of 56,000 cubic feet per second. 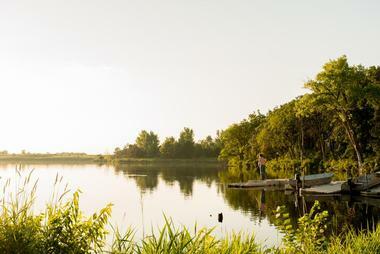 There are about 51 recreational areas around the dam that will impress and delight visitors. SD Discovery Center and Aquarium offers science opportunities to children of all ages, inspiring teachers and the public to seek out scientific knowledge and create a healthy world. Outreach and events are their signature offerings, and these programs are interesting and affordable. Women in Science engage young women grade 12 and younger, encouraging them to pick a career in science, while South Dakota History Adventures are fun field trips that highlight the history of the region. Other interactive programs are the Family Festivals, Legos and Robotics, Nutrition and Physical Activity, and Environmental Education. The Fighting Stallions Memorial was constructed in 1994 to commemorate the death of eight citizens of South Dakota who died in a plane crash on April 19, 1993 while on a state mission. Flaming Fountain Memorial is located on the shores of the Capitol Lake. This spectacular monument is dedicated to the local South Dakotans who fought during the war. There is a stone memorial, fountain, and waterfall with an eagle statue that honors the members of the great Sioux Nation who lost their lives in this country’s modern war. The fountain is unique as in the past, flames would rise above the water. Water is sourced from a nearby well that flows into Capitol Lake, and flames would begin to dance above the top of the fountain when gas was directed into the memorial and lit. The historical memorabilia of the National Guard of this state is on display at the South Dakota National Guard. Visitors will learn about the historical information of both the Army and Air National Guard. The museum has a large area for the visitors to explore – outside the museum are a Sherman Tank, 75mm Cannon, A-7-D Jet, Anti-Aircraft guns, and a 105mm Howitzer. Admire the collection of the heritage and accomplishments of the National Guard that are showcased inside the museum. The memorabilia and artifacts are from 1860’s up to the present day. Pierre Players is a community theater that entertains and educates the community with theater presentations that involve the audience. The first full season of Pierre Players began in 1967, and throughout the years they have produced over 180 shows and sponsored several touring productions. Over 14,000 locals from the community have volunteered their talent and time. Visitors will enjoy the opulent ambiance of the theater and should definitely catch a show to experience the commitment of the longest running community theater group in South Dakota. The Upper Pierre Street Commercial Historic District was once the center of commerce and government in downtown Pierre. Prominent businessmen Andrew C. Brink and Charles Hyde played instrumental roles in attracting businesses to this part of the city. The first businesses in this area were small mom-and-pop operations that sold jewelry, clothing, and groceries. Today's visitors can stop by the Grand Opera House to either sightsee or watch a performance by the Pierre Players, a local theater group. The Hyde Baseball Stadium, built in 1935, is located across the street from the State Capitol, the Governor's Mansion, and Capitol Lake. The stadium is surrounded by picturesque grounds and has enough seating for 1,500 people. It has been home to many generations of Pierre American Legion baseball teams, and several state tournaments over the last 15 years have taken place at Hyde Field. The well-lit stadium is also open for nighttime practices and games, and the field has a grandstand as well as a batting cage practice area. 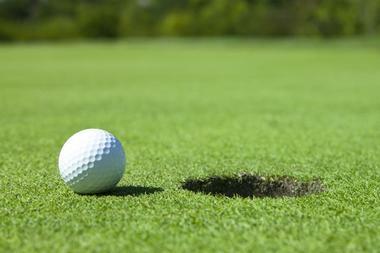 The picturesque Hillsview Golf Course offers a fun challenge for golfers of all levels. It is an 18-hole course that includes a driving range as well as a clubhouse. The course offers special season passes for young adults, adults, children, couples, and families, and the passes vary in price from $100 to $985. Golfers can also purchase access to extras, including golf carts and golf cart storage. More vacation ideas: 20 Best Things to Do in Sioux Falls, South Dakota. 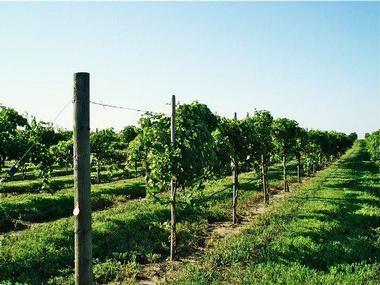 The ChrisaMari Vineyards are known for their commitment to making wine solely from South Dakota grapes. ChrisaMari produces a variety of red wines, white wines, and blush wines, and they also have wines for cooking, and unique wines made from fruit. ChrisaMari's pumpkin wine is a holiday favorite, and the rhubarb wine pairs well with desserts. As a small family-run operation, the vineyard is only open for tours by appointment. Take the fishing or hunting trip of a lifetime under the guidance of Tom. With 30 years of experience, these day tours are sure to provide visitors with all kinds of fun. Hire a cabin for three nights and sign up for a full day or a couple of days of fishing on a 21-foot first class fully equipped walleye boat. Commercial insurance, gas, tackle, bait, and gear will be provided. Pheasant hunting is another popular sport in this region, and there are experienced guides with retrieving dogs to take you on this expedition. Visitors could also spend a day on the golf course. This classic school building is known for being the fist high school in Fort Pierre and is among the oldest high schools in South Dakota. The two-story structure used to be home to four classrooms, and although the Old Fort building is referred to as a high school, students of all ages attended school there between 1892 and 1909. The building was eventually repurposed and became an apartment complex. Visitors enjoy seeing the school because of its elegant façade and stained glass windows. It is currently undergoing another round of renovations. The Stockgrowers Bank is hailed as the only Romanesque Revival structure in Fort Pierre. In the early 20th century, it was a bustling business center for the cattle raising industry. Other tenants throughout the years have included barber shops, real estate offices, the city's first telephone exchange, and a hardware store. 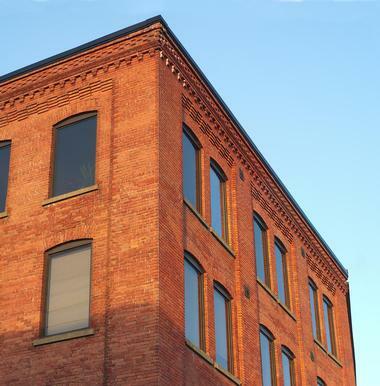 The building stands out now because of its pointed roof, ornate brickwork, and arched windows. Currently, the public isn't permitted inside since the Stockgrowers Bank still serves as a business building. Once home to a prominent businessman, the Gaylord Sumner House is known for its unique architecture and classic charm. 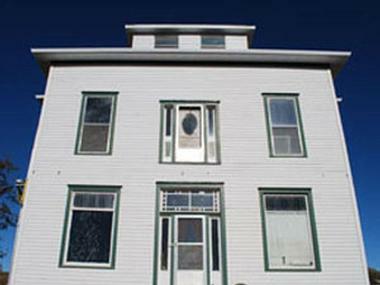 Renovations done in the late 1800s turned the single-story home into a two-story structure. 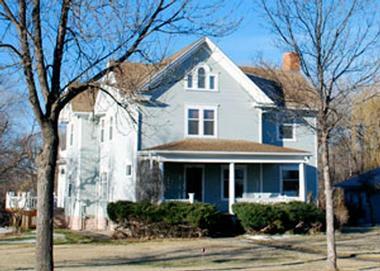 Gaylord Sumner, the home's original owner, came to South Dakota from New York in 1890, and he eventually organized the Stockgrowers Bank and ran the Stanley County Abstract Company. Sumner and his wife, Ida Ricketts, occupied this home up until his death in 1967. The home is still a private residence so it is not open for visitors. 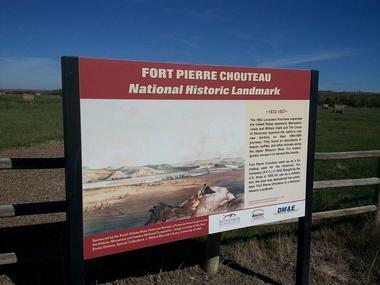 The Fort Pierre Chouteau Site is a tribute to the relationship between Euro-Americans and Native Americans. Established in 1832, the Fort eventually grew into a trading center, and locals and travelers could easily buy furs from the fort's convenient riverside location. In 1855, the US government bought the fort and nearly converted it into a military installation. However, the fort's dilapidated state prevented the Army from developing it further, and they chose to leave it alone instead. In recent years, excavations at the fort site revealed interesting relics, including Native American moccasins, coins, pottery, and fabric. This museum located in the old American Legion Hall building is named after two French explorers, Louis and Chevalier Verendrye, who spent a portion of the early 1700s canvassing the upper section of the Missouri River. Since 1968, the Verendrye Museum has served as the final resting place for a variety of artifacts from South Dakota's early history, including a plaque left by the Verendyre brothers that claimed the Missouri River for France. 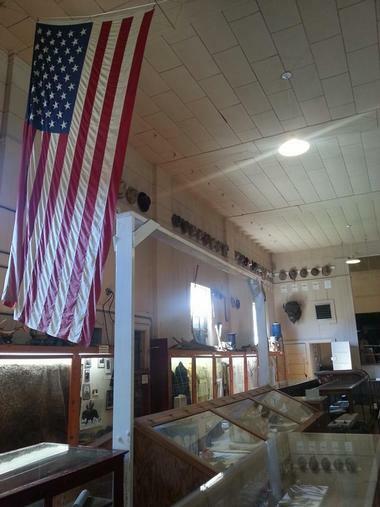 The Verendyre museum is open from Memorial Day to Labor Day each year. Off-season visits can be arranged with the museum staff.